The resignation of Robert Mugabe following a rather low-key coup has paved the way for regime change in Zimbabwe. Former Vice President, Emmerson Mnangagwa, has made a triumphant comeback after being sworn in as President on Friday. Among many other things, regime change could have reform implications for lucrative diamond mining in Eastern Zimbabwe, posing both upside and downside business risks. 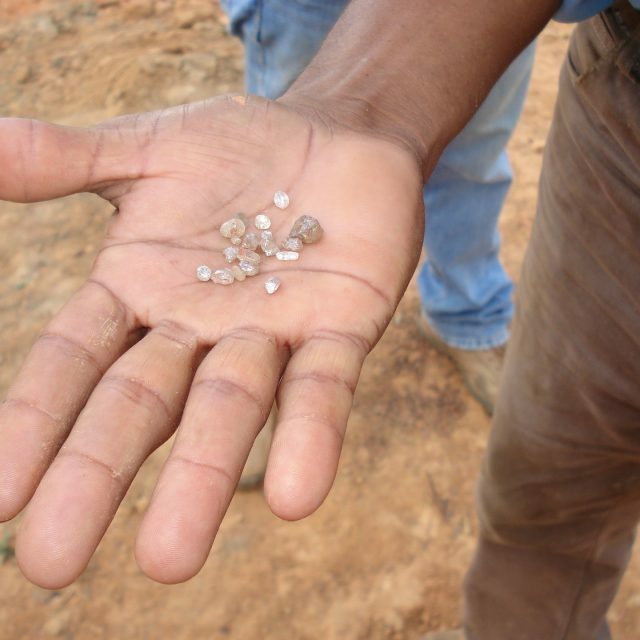 Zimbabwe has a troubling record on diamond mining. Since discovery of the vast Marange diamond fields in the 1980s, the sector has been characterised by acute political risk. In 2006, British company African Consolidated Resources (ACR) had its prospecting license seized by the state-owned enterprise (SOE) Zimbabwe Mining Development Corporation. A decade later in 2016, Mugabe announced his intention to nationalise all diamond production, revoking the licenses of several Chinese companies in Marange. To make matters worse, Marange is situated in Zimbabwe’s ‘wild east’, a region plagued by corruption and violence by both state and non-state actors. Mnangagwa is seen by many as a ruthless party-loyalist, but also as a technocrat and potential reformer. On a visit to Beijing in 2015, he spoke of the need to ‘create an environment where investors are happy to put their money’. Towards this, Derek Matyszak of the Institute for Security Studies expects Mnangagwa to reverse Mugabe’s damaging nationalisation policy. If further regulatory reform provided assurances against predation by SOEs, Marange – an infant diamond field, but one that has already been worth an estimated $15 billion since 2006 – could attract significant external investment towards a possible Botswanan model of public-private joint-venture. An improved enabling environment represents a best-case scenario, however, and there are also several downside risk factors to consider. As ever, an appearance of investor-friendliness can bely a more complicated situation on the ground. Despite Zimbabwe being a member of the Kimberley Process against conflict diamonds, a recent Global Witness report revealed the extent of the ‘appalling abuses’ visited on unlicensed civilian miners at Marange. Future investors should be wary of a situation whereby a veneer of reform masks a similarly violent reality. Quite apart from the dreadful consequences for Zimbabwean civilians, companies would be exposed to reputational risks if perceived to be involved with conflict diamonds, as we saw in Sierra Leone in the 1990s. It is essential, therefore, that future investors in Marange conduct in-depth supply chain due diligence, per OECD guidelines. Further downside risk stems from the poor natural-resource governance record of Mnangagwa himself, particularly during Zimbabwe’s incursion into DRC during the Second Congo War (1998-2003). A US diplomatic cable, published by Wiki Leaks in 2010, stated that Mnangagwa was ‘notorious for having profited from Zimbabwe’s plundering of mineral resources in the Congo’. Additionally, a leaked 2011 dossier by Stratfor implicates a Mnangagwa-led political faction in the disappearance and smuggling of Marange diamonds. Continuation of comparably opaque governance could expose future investors to corruption risks. Whichever image of post-coup Zimbabwe becomes reality, mining sector reform and formalisation of the vast, untapped wealth of the Marange diamond fields could well provide a platform for national recovery. Should this be the case, aggressive investors may see opportunities in a country that has traditionally remained closed to the West. The pervasiveness of corruption and patronage should not be underestimated, however, particularly whilst new leaders are seeking internal legitimacy. In the end, the economic viability of Zimbabwean diamonds will likely hinge on what level of long-term political stability can be maintained.